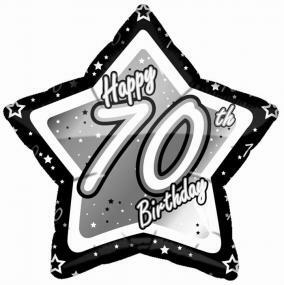 This 70th birthday star shaped black and silver foil balloon is ideal as a gift or to decorate your celebration venue. Requires helium filling. The balloon measures 21" at the maximum point.